There is no shortage of addictive substances out there, but some are more dangerous than others. What makes a drug more dangerous or addictive? And what are the potential consequences of using certain drugs? Professor David Nutt, a psychiatrist and director of neuropsychopharmacology in the Division of Brain Sciences at Imperial College, London, set out to measure just that. He and his team worked on using statistical data to help them measure the potential for and consequences of using certain substances. In completing this research they helped answer an interesting question: What are the five most addictive substances in the world? Heroin was listed as the most addictive drug on their scale with a score of 3 out of 3. Heroin is an opiate that causes the level of dopamine in the brain’s reward system to increase by up to 200%. It’s also a very dangerous drug considering the fact that a lethal dose of heroin is only 5 times more than the dose required to get high. Heroin was also rated as the second most harmful drug in terms of damage to users and society within an estimated market of $68 billion dollars for illegal opiates worldwide. Cocaine was listed as number two on their list of addictive substances for its ability to prevent neurons from turning off your brain’s dopamine signal. Dopamine can rise up to more than three times the normal level when on cocaine. In addition to those addicting side effects, it is also extremely dangerous as crack cocaine was listed as the third most damaging drug with powered cocaine ranking at fifth most damaging. Nicotine is the main addictive ingredient in tobacco and was named number three on Nutt’s list. More than two-thirds of Americans who have tried smoking reported becoming dependent during their life. How dangerous is smoking? A 2002 study estimated that tobacco will kill more than 8 million people annually by 2030. Barbiturates, also known as downers, barbs, blue bullets, nembies, are a type of drug that were initially used to treat anxiety and induce sleep. However, they have long been abused for their ability to cause euphoria at low doses. These drugs can be extremely dangerous because at higher doses they can be lethal due to their ability to suppress breathing. 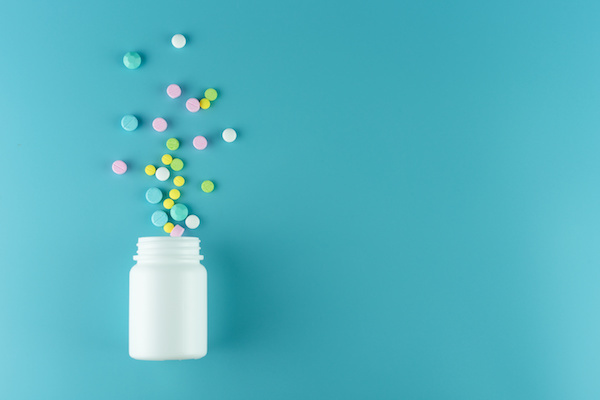 Serious barbiturate abuse and dependence was common when these drugs were more easily available, but this number has seen a significant decline as prescriptions today are not as easily obtained. Although it is legal in both the U.S. and U.K., alcohol scored number five on their list of addictive substances with a 1.9 out of 3 on their scale. In lab experiments they found that alcohol increased dopamine in the brain’s reward system by 40% to 360%. The more alcohol that was consumed, the higher the dopamine levels got. While it is a legal and commonly used substance, alcohol is still dangerous especially when consumed in large quantities. A study conducted by the World Health Organization estimated that 3 million people died in 2012 due to damage caused by drinking. It’s also estimated that 22% of people who have taken a drink will develop dependence on alcohol at some point in their life.